This package is designed for the discerning golfers who have limited time and wish to play golf at all best golf courses in the South of Viet Nam as well as explore the beauty of each place after play a round of golf. Come join us for a fun escape from hustle and bustle of city life on the golf course, you will have a chance to play at 6 best golf courses: Long Thanh Golf Club, Da Lat Palace Golf Club, Sea Links Golf and Country Club, Sacom – Tuyen Lam Golf Club, Diamond Bay Golf Resort, Vinpearl Golf Club and enjoy the scenic views of mountains and ocean on this wonderful golf tour. 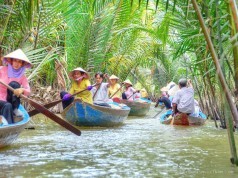 Situated in Bien Hoa City, it takes 40 minutes by car from Ho Chi Minh City. The course nestled on a plateau that offers scenic panoramic views from every direction. The 36-hole course is divided into two 18-hole course: Lake and Hill course. The Hill course features rolling Paspalum fairways, strategically placed sand bunkers, water hazards and high quality, quick & mildly undulating putting surfaces that are above average in size. It’s time for a more challenging golf course. Sea Links Golf & Country Club is the highlight of the Sea Links City. The course is built on an area of 160 hectares on wild and beautiful sand dunes at the elevation of 80 meters above sea level. The 18-hole course features rolling fairways, many bunkers and water hazards that can test the most experienced golfers. Greens are technically difficult for putting make it a good place to improve your golf skills. The course measures nearly 7700 yards and provides spectacular views of sea from many holes of the course. Located in the East of Tuyen Lam Lake and surrounded by sloping hills and pristine pine forests is the picturesque winding road from this hilltop to other hilltop to enter the course. At 1000 meters above sea level Sacom Tuyen Lam Golf Resort is designed to be an excellent place for summer escape or relaxing vacation. The 18-hole par 72 course measures 7276 yards, some golf holes spectacularly situated on high terrain overlooking the entire valley area which bringing the awesome feeling for golfers. Dalat Palace Golf Club is situated in the Central highland, 1500m above sea level in Dalat, 30-minute flight from Ho Chi Minh City or 1.5-hour flight south from Ha Noi. 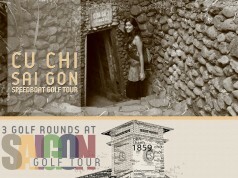 The golf course is the oldest golf course in Vietnam and was a private golf course of Bao Dai Emperor, Vietnam’s last emperor. Dalat Palace Golf Club is the only golf course in Southeast Asia with Bent grass tees, fairways and greens. The 18-hole course measures 7,009 yards, par 72 and presents a challenge to all levels of golfer. Series of lakes in the course will test low handicap players a significant challenge. High handicappers will find relief with large accommodating greens normally left open for run-up approach shots, as well as wide, forgiving fairways. Diamond Bay Golf course located in one of the most popular destination of Nha Trang where majestic mountains meet sunny skies. It’s a tropical paradise unlike any other. Here, you can feel the fragrance of the grass, breeze of tropical sea, especially the hit to sea driving range. The launch of Diamond Bay golf course was a breath of fresh air blowing increasingly passion of players. This place, where has fully energetic space, will be the perfect start point for professional swings in the future, as well as being a wonderful place for golf-lovers to practice. Let’s come to Vinpearl Golf Club to experience exciting challenges with the golf holes or enjoy the satisfaction feeling of winners in the conquest process. 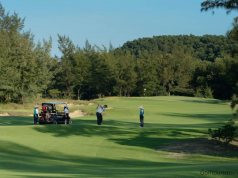 After experiencing golf courses, you will have a wonderful resting time at: Sea Links Beach Hotel, Dalat Hotel Du Parc and Nhi Phi Hotel Nha Trang. Duparc Hotel Dalat is located on Tran Phu Street, just 10 minutes walking from Da Lat Center. The building was first built in 1932 and renovated in 1995 but still retained its original French colonial architecture. Dalat Du Parc Hotel has total 144 rooms with comfortable furniture, large bathroom, satellite TV. This hotel also has horse riding service, tennis and large beautiful garden to go jogging in the morning or just simply sit and relax with your friends. Viet restaurant is delicious and reliable on the terrace, which is also the Le de La Poste coffee lounge with barbecues serving daily. Nhi Phi Hotel, which has 12 stories, will bring you the whole cool scene of Blue Ocean and the friendly Nha Trang City. Built on an area of 800 sm with cool airy spacem, this 4-star hotel has 90 luxurious bedrooms, over 100 seats conference room, high-class Spa, buffet breakfast restaurant, alacaf, and Vietnamese; Eurasian cuisine. The hotel has full of quality services, separate parking area, safety with the professional trained staff. Let’s come and experience your wonderful journey at Nhị Phi. What is cost of this tour please? 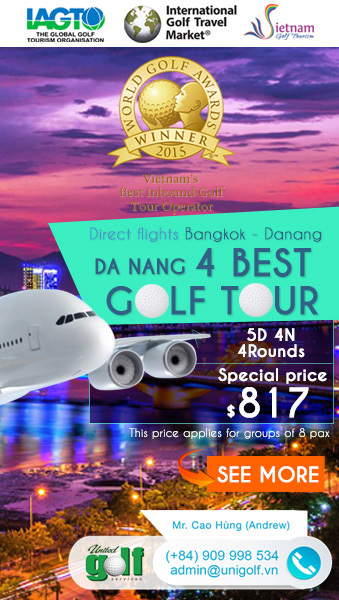 This tour cost about 800 USD/1 pax (apply for group of at least 4 golfers). To be for sure what the total cost is, please send us email to admin@unigolf.vn with information on the days you plan to travel and how many pax are there in your group. Thanks & Regards ! 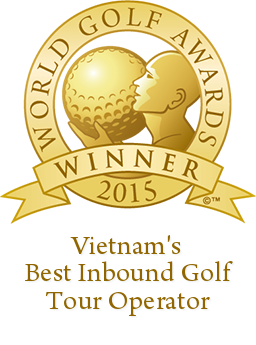 Woa, this tour will bring you to some top Golf Courses in Vietnam, enjoy your trip!